Last week we decided to do a College Football rapid rundown to join our already popular NFL rundown. It was an incredible success as we correctly predicted three underdogs to win outright. After such a big winning week we had no other choice but to come back with our college football week 7 ATS picks. We have already covered the early week game so let’s look at teh big games on Saturday. 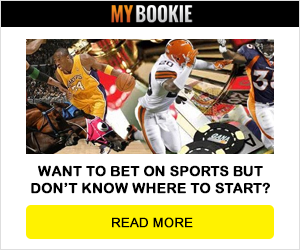 MyBookie.ag is the best sportsbook to bet on football. Sign up here and get a 100% bonus to bet on football and get all of our football picks all year long for FREE! Bet with the best sportsbook and cash in on all of our free plays! College Football Free picks: If you want college football early picks with full detailed write-ups sent to you for free then open an account and contact us. Why not start this week off with a team we won with last week in the Florida Gators. This is a huge letdown spot for Florida who have posted back-to-back upset wins in the last two weeks. They also have a game against the top ranked Georgia Bull dogs next week. That spells trouble. The Gators are 0-6 against the spread (ATS) in the last 6 games on turf and they will be lucky to win this game, let alone cover. the game of the week. Something has to give with Alabama. There is no doubt that they are the best team in the country, but covering big numbers over and over again will just not happen. In fact Alabama has been so good that (-28) against Missouri seems too easy, but guess again. They let Arkansas backdoor the spread a week ago because they were too relaxed in the fourth quarter and that will happen again this week. The tigers play well on the road against teams that have a winning record as Missouri is 16-6 ATS in that spot. Although Alabama has been incredible they are just 1-6 ATS in the last 7 conference games. Missouri keeps it close. How the mighty have fallen. USC used to be a powerhouse in college football but now they are an afterthought. This will make the night home game against undefeated Colorado very important. The Trojans are being overlooked after a slow start but they have reeled off back-to-back victories. More importantly this line should tell you something. How are the Trojans (-7) point favorites over a team in the top 25 that has yet to lose? Because they are better and 6-2-1 ATS in the last nine games after covering the spraed in the last game that they played. College Football Free picks: If you want college football early picks with full detailed write-ups sent to you for free then open an account and contact us. Good Luck in week 7!